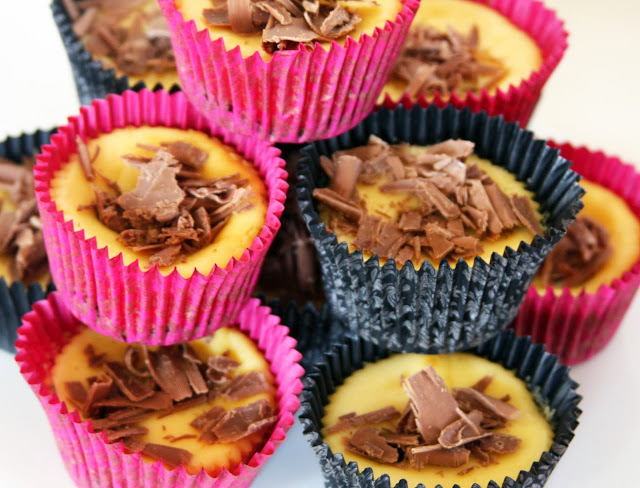 These little suckers were inspired by a tube of mini Rolo's. Who even knew they existed? I love anything in miniature and decided that something of note needed to me made. 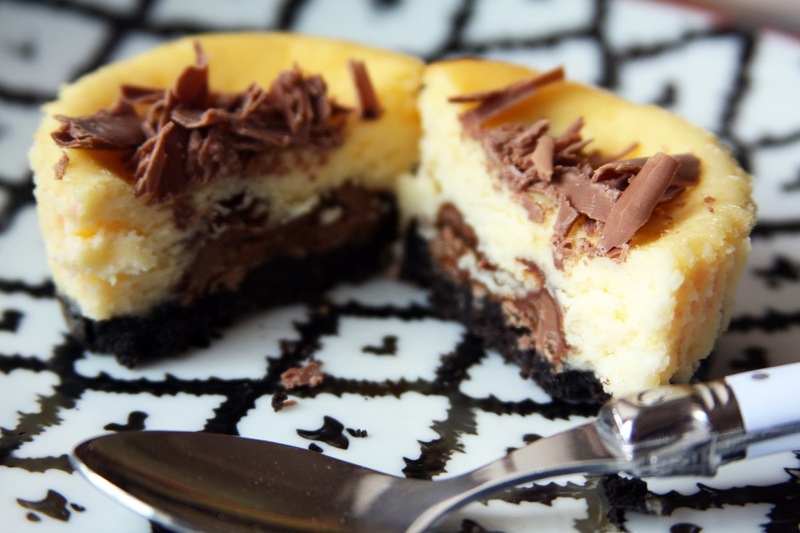 My first thought was a Rolo brownie, but then cheesecake won out. These babies are delicious and great for a party or when you need to feed a few people as they are individual serves that do not require cutting. So if someone decides to be polite and eat theirs with a fork, that is fine, but there is no judgement for those who peel the wrapper back and take a big bite as well. You could opt to make them a little more 'elegant' and take them out of their wrappers if you wished as they hold their shape. 1. 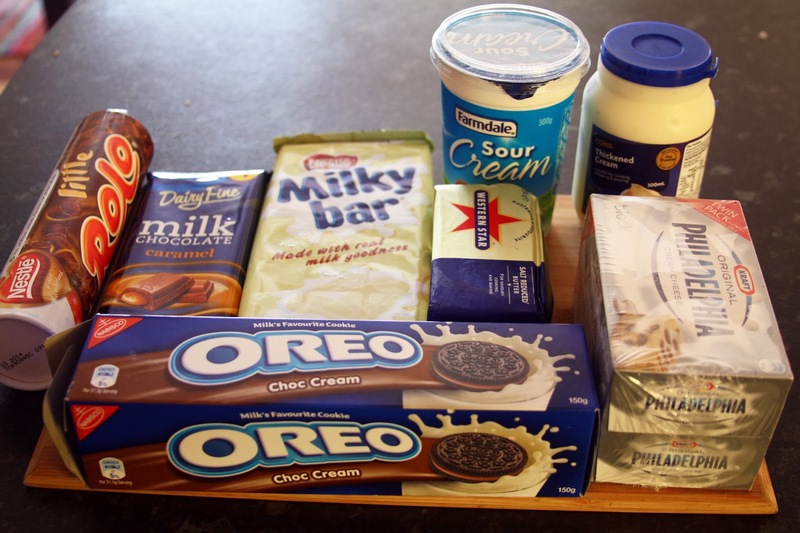 Whiz oreos in a food processor until smooth. Add butter and mix. 2. 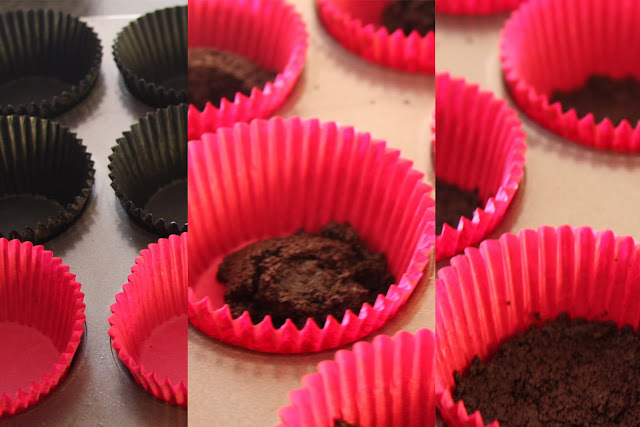 Divide heaped teaspoons of mixture evenly amongst 24 muffin cases. Press down with a teaspoon and smooth. 1. Empty cases. 2. 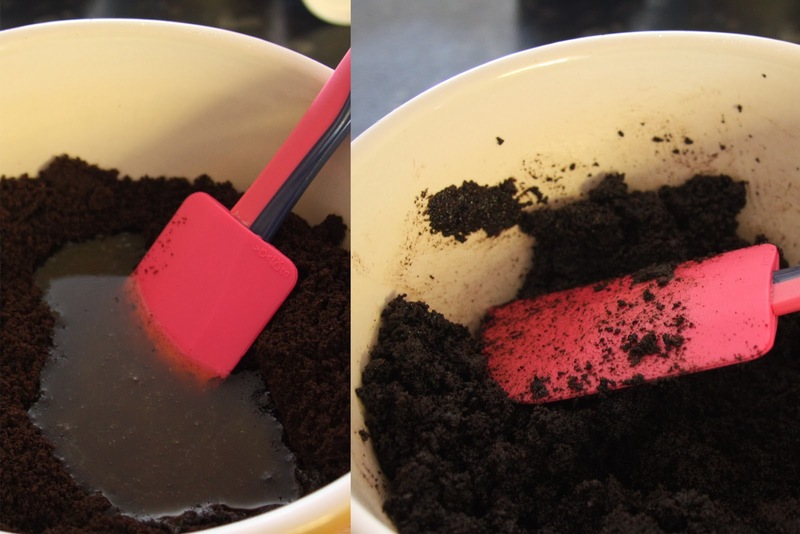 Heaped teaspoon of oreo mix. 3. 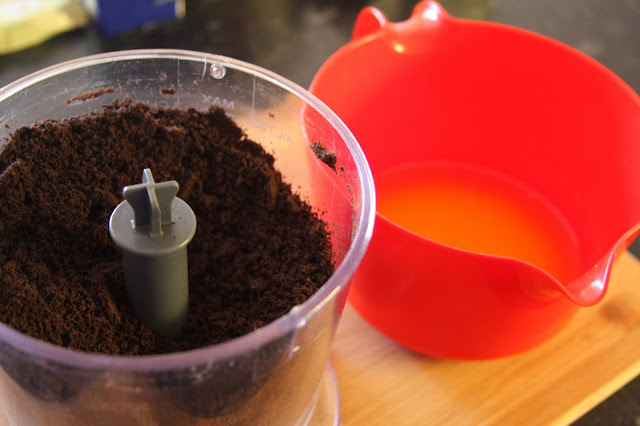 Press down mix and smooth with teaspoon. 3. It's very important that the cream cheese is at room temperature before it is beaten, otherwise the lumps with never, ever go away. So if you are unprepared, like me, cube your cheese, place in a microwave safe bowl and zap for 30 second intervals (at medium temperature) until room temperature i.e. not hot / not cold. 4. 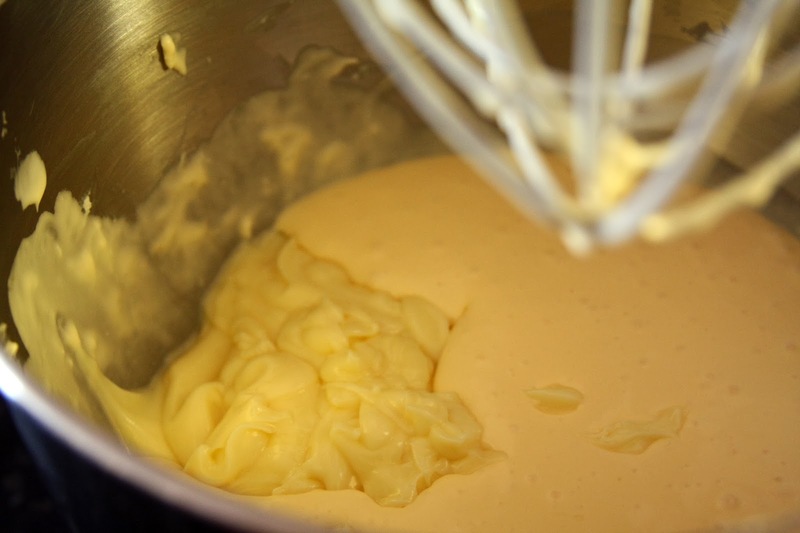 Place cream cheese and sugar in Kitchen Aid bowl with whisk attachment (you can use hand mixer as well) and mix at a medium speed until smooth. You will need to scrape down sides of bowl once or twice. 5. 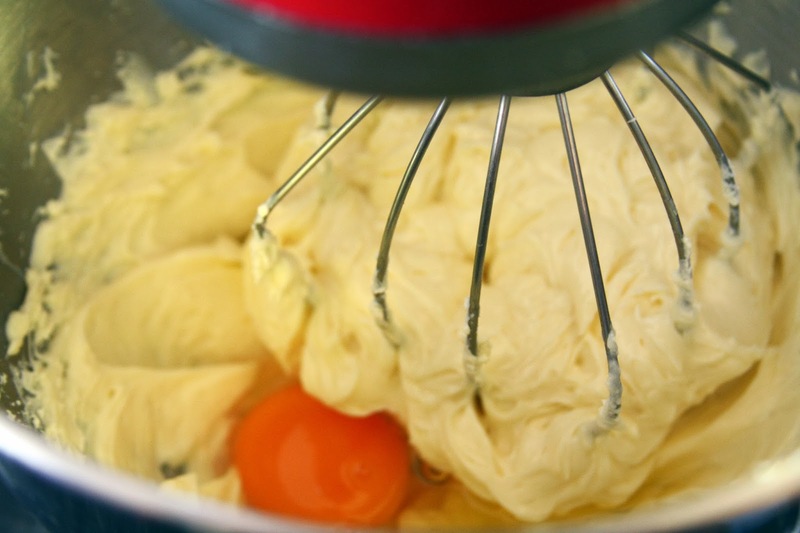 Add one egg at at time to mix, I find this easier if I crack them all into the one bowl. 6. 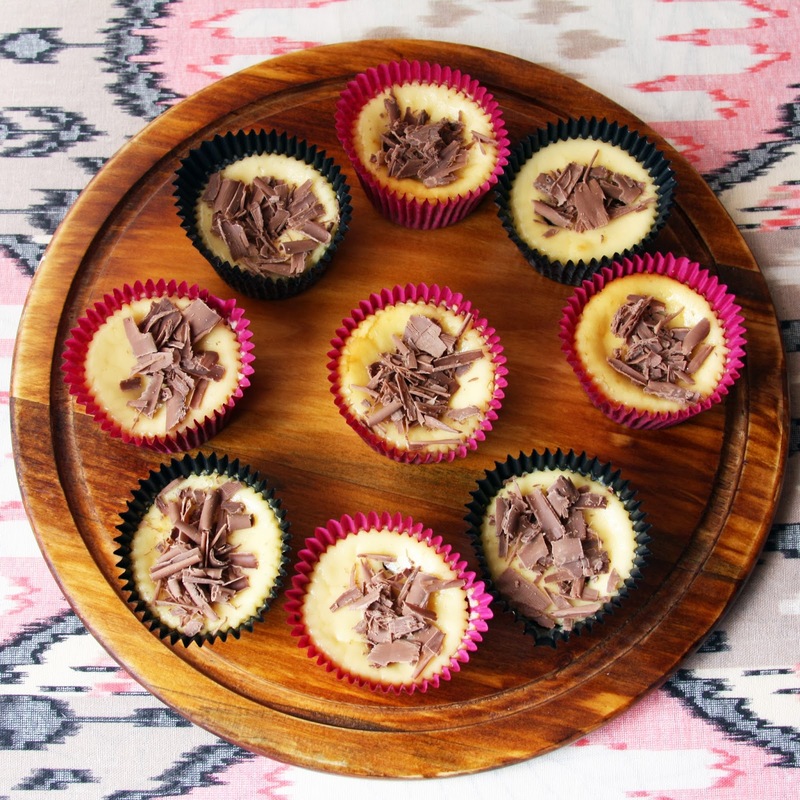 Melt chocolate in a microwave safe bowl in 30 second bursts. Mix once it starts to melt and then continue on with 10 second bursts until completely melted. Add in sour cream and mix together until smooth and slightly shiny. Try and do this in a larger bowl than I did, it will be a lot easier. That moment of regret when you realise your bowl is too small but refuse to change to a bigger bowl as that is extra washing up. 7. 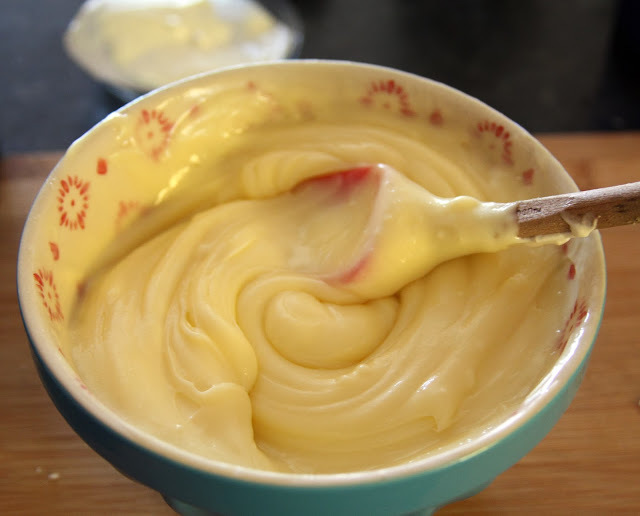 Add chocolate/sour cream mix to cream cheese, add vanilla and mix until smooth. That chocolate, sour cream ganache like product was DELISH. Lick the bowl for that one! 8. 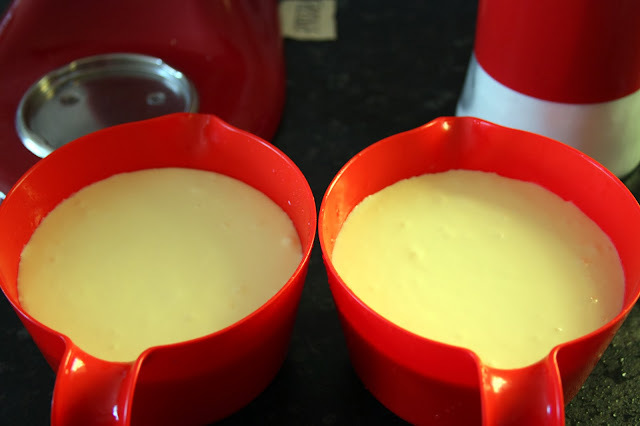 At this point I divided the cheesecake mix into two containers as I was cooking the cheesecakes in 2 batches as I only have one muffin tin. 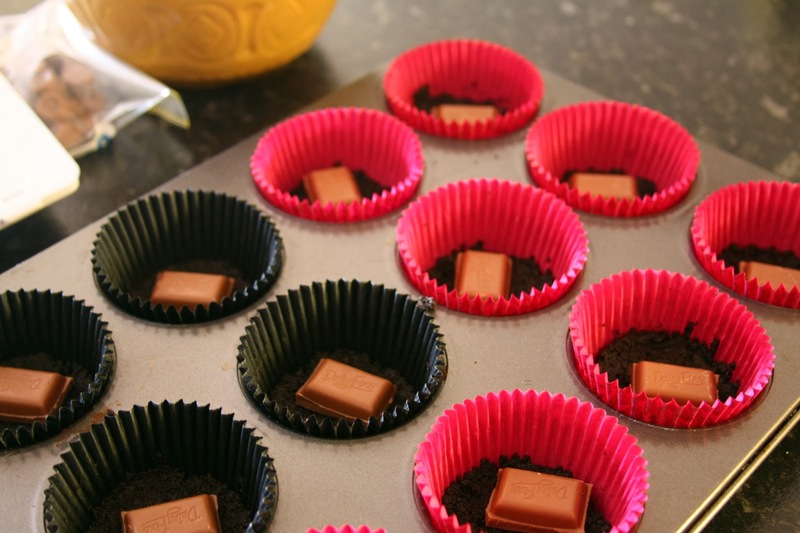 It's also a good way to evenly distribute the filling, if you are a Virgo and a bit OCD about that kind of stuff . . .
9. Place a cube of chocolate or Rolo on biscuit base (I used some caramel chocolate as I realised I was going to run out of Rolo's). 10. 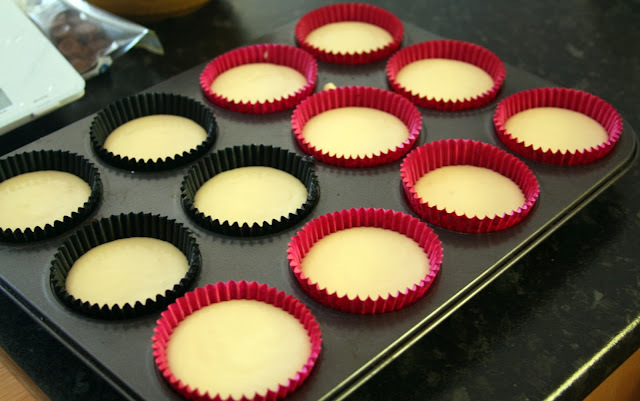 Cover with the cheesecake filling and distribute evenly in the cases. 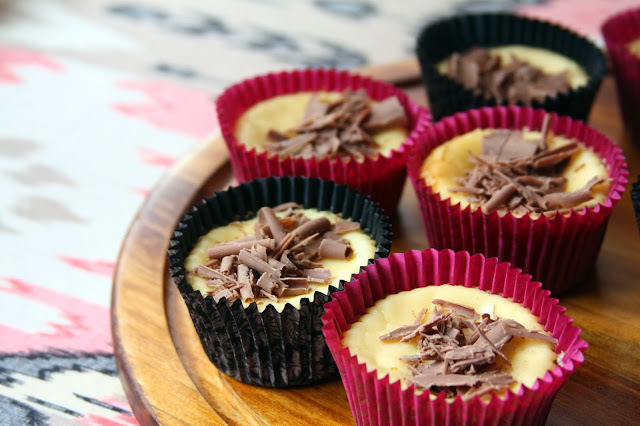 Drop a few mini rolo's on top of each cheesecake. 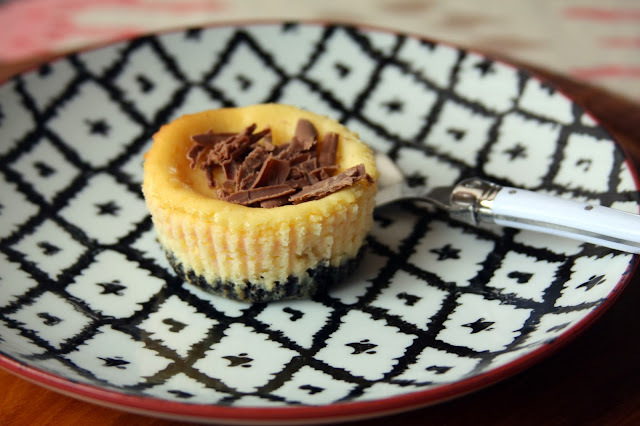 The cheesecake mix is dense enough so that they don't sink too far. 11. Cook at 180 degrees Celsius (160 degrees Celsius fan forced) for around 20 mins. You may want to turn at 10 mins to make sure that they all cook evenly. They should jiggle a teensy bit when you take them out of the oven. 12. Place on a tray to cool and then place in fridge. 13. Decorate the tops however you wish, I grated some chocolate. 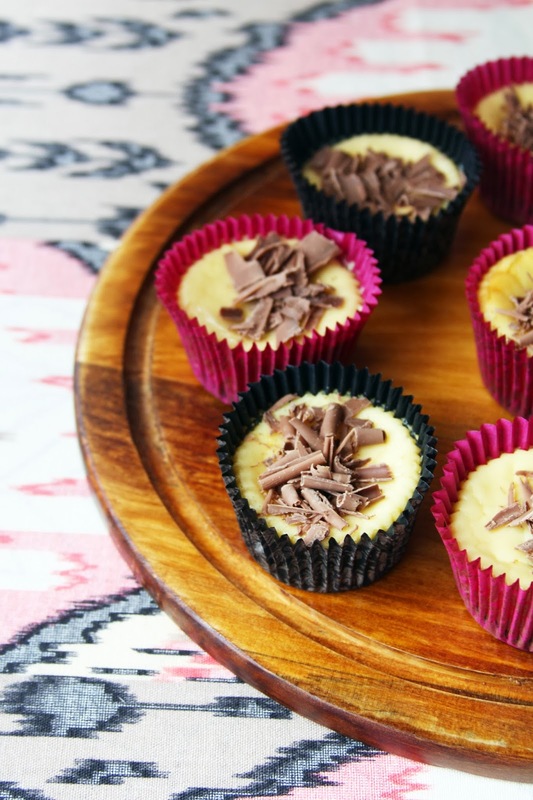 These keep in the fridge for a few days so are good to make in advance.